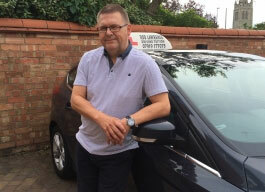 I know there is huge resources on-line discussing how to become an Approved Driving Instructor or ADI so please read on so I can help you. I’ve been teaching ADI instructors for a long time, and wanted to put together a dedicated resource walking you through the simplest and most straight forward way of becoming an ADI. I am a highly skilled driving instructor, instructor trainer, fleet trainer and Fleet examiner with + 10 years of experience in the industry. What distinguishes me from others in this field of expertise is that I see driver training as an opportunity to promote safe road skills and good attitudes. I have a special interest in one-to-one training and believe the road to success is client centered learning whereby the pupil or trainee is the customer and all training is developed around them. U Drive MSM driving school approached me in 2015 to help with the instructor training side of the driving school. Which I had no hesitation to help and gives potential driving instructors a chance to learn in their local area and not travel to Lincoln to get their training. Another good thing once you become a qualified driving instructor, U Drive offers super driving instructor franchise packages, with full support from the family run business. I also cover the small towns and villages in-between the major cities. I am determined to promote the very best in driver training using the very latest techniques developed over many years in this industry. In the driving instructor training business where articles are splattered about, and national schools offering you un realistic dreams. I firmly believe that plain, simple and straight forward instruction wins every time. All too often I encounter confused trainees who have been given the most complex methods for maneuvers and systems of driving that were so complicated learning to fly a helicopter would have been easier. It’s a simple business made very complicated and the cause of this is that all too often trainers are focused on what they want to teach the trainee and not what the trainee actually wants to learn.